(PN G181AM) contains the following parts from the following name brand manufacturers. Note 1 - Some HO engines and nearly all Volvo Penta engines have flat top pistons in them. See below for kit option to upgrade to flat top pistons. Note 2 - Main kit listed is for engines with two piece rear main seal and 4 piece oil pan gasket. For engines with other configurations, see below for kit options to upgrade to one piece oil pan gaskets and one piece rear main seal. Note 3 - Please click on the link below to view the manifold gaskets available for these engines. 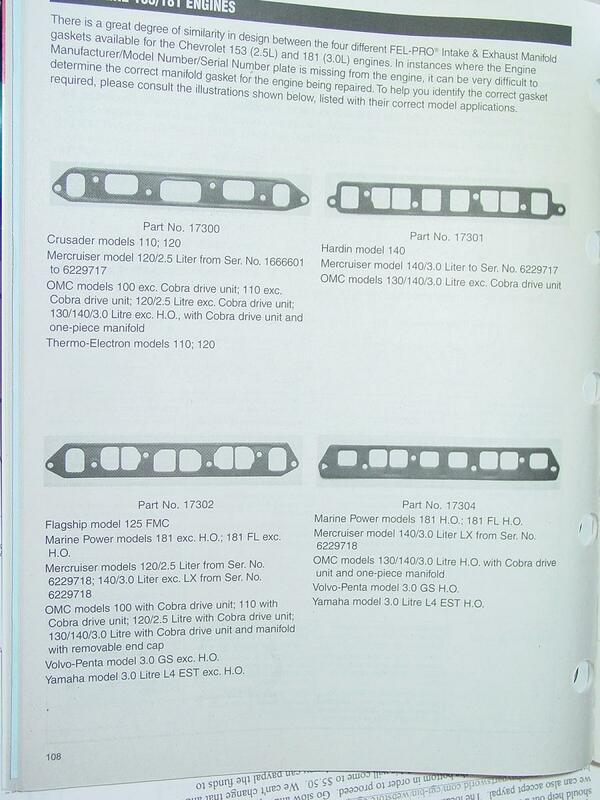 When ordering, please indicate what part number matches your old gasket or manifold for us to include with your order.